Upgrade your current MPVI interface to MPVI2. 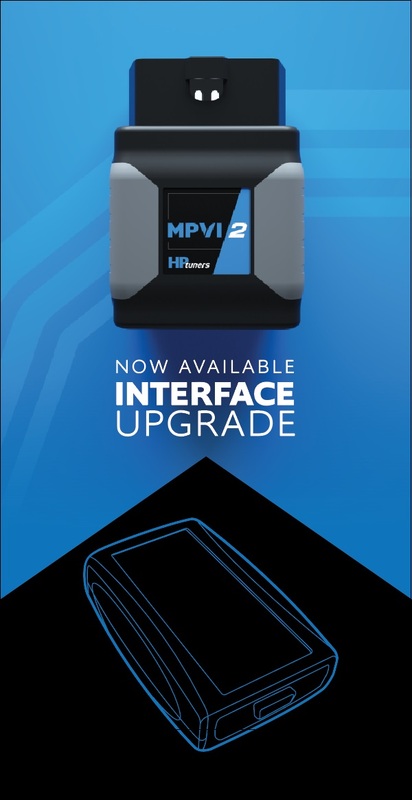 HP Tuners presents our MPVI2 Upgrade Service, allowing you to upgrade your existing MPVI Standard or MPVI Pro interface to the latest MPVI2 interface hardware. Please note you must add your MPVI Standard or Pro device to your My Account / My Devices page HERE first to upgrade. Please allow at least 3 business days for the transfer to be completed and your new interface to be shipped back to you. Old Interface will not be shipped back. New vehicle support including Audi, VW, Ford EECV, GM L5P Diesel, Infiniti, Jaguar, Landrover, Mercedes, Nissan, Toyota and Lexus. Support for Universal Credits (no more GM, Ford, Dodge specific credits). Online licensing (no need to insure your MPVI2 for cost of licenses). HPT file Edit and Save without license. Pro Feature Set (software license upgrade, release TBA). Standalone Data Logging (release TBA). 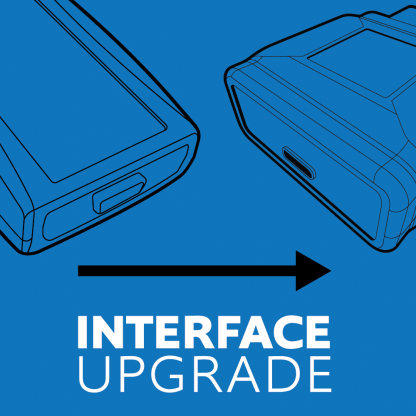 The MPVI Pro or Standard interface must be fully functional to be eligible for upgrade. HP Tuners reserves the right to refuse any interface upgrade.